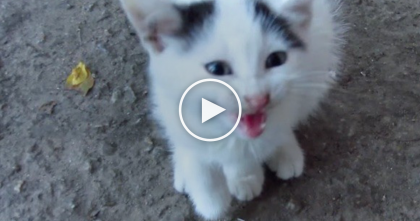 Cat Tries To Catch His Own Tail… But Just Watch What Happens Next, It’s Hilarious. LOL!! 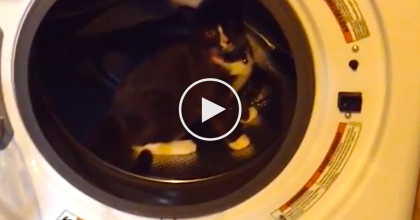 This hilarious kitty loves catching his own tail and luckily his humans caught his in the act and started recording… The video is just a hoot, this is just hilarious! It’s a short little video, but it depicts what happens all the time when this cat notices a fluffy tail – and it’s his own! 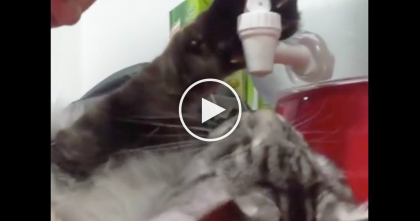 After trying to catch it the cutest little kitty gracefully tumbles down, but don’t worry, he always does this! 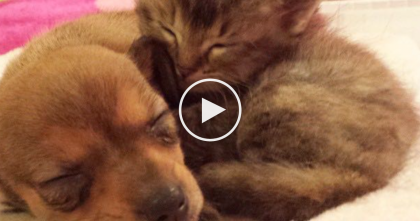 They Paired This Orphaned Kitten With Someone Special, When You See It… You Won’t Stop Smiling!